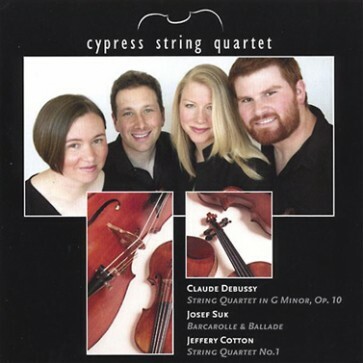 "Say what you want about a crisis in classical music - the Cypress Quartet is not listening. 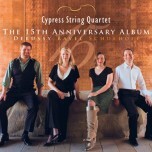 This new recording of works by Debussy, Suk and Cotton is full of an overwhelming joy and enthusiasm for the cause. With an exceptional level of technical skill and thoroughly convincing interpretations they have created a beautiful addition to the catalogue. The unusual pairing of repertoire is consistent with their mission of celebrating the new and less known with the same level of commitment they bring to the 'standard' repertoire. The recorded sound is beautiful. Mark Willsher has captured a true and natural quartet sound, and there is a real intimacy to the overall effect of the recording. Bravo."